Hiring a roofing contractor for roof repair or roof replacement is a big decision. After all, it’s about the roof which is one of the most vital installations of your home. It takes the first hit when a storm strikes, or there is heavy snowfall and keeps your loved ones safe and secure. 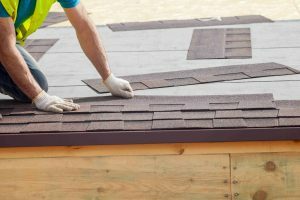 When it comes to local roofing contractor Dayton, OH, few are as experienced as Allegiant Roofing. Our services include roof installation, roof replacement, roof repair, and maintenance. We also offer emergency roof repair services. Our owners’ backgrounds include general contracting, real estate and insurance claims expertise. We’re also Haag Certified Inspectors to provide detailed roofing inspections. Our business is also BBB accredited. 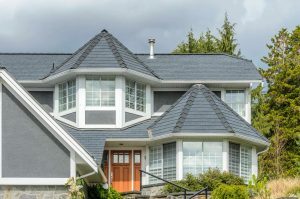 Combine all that with an exceptional work ethic, and you’ll find very few roofing contractor Dayton, OH that offer more. As a local roofing contractor Dayton, OH, we provide all roofing services. We offer roof repair, including 24-hour emergency roof repair, roofing maintenance plans, and roof replacement. You can choose shingles from leading manufacturers including GAF, CertainTeed, Owens Corning, and TAMKO. These leading manufacturers offer more than a dozen different product lines with a variety of styles, colors, and features to suit every taste. 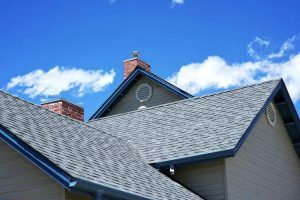 Let us know what you’re looking for as far as your new roof goes, and we’ll guide you to choose a brand and style that suits your home and budget! 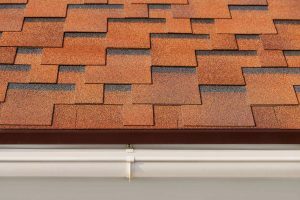 If you need gutters, we provide seamless gutters made on-site for a perfect fit. 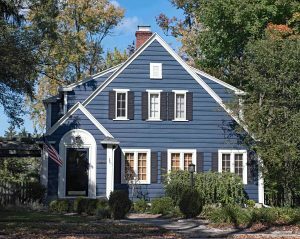 We also offer siding replacement when you want to improve your home’s curb appeal and energy efficiency. With a background in home renovation, we also provide fascia, soffits and trim to complete the new look of your home. We are also the commercial roofing contractor Dayton, OH that local businesses trust for all their roofing needs. Our commercial roofing services always start with a thorough inspection of the building’s roof. From there, we will propose any commercial roof repair necessary. If you are interested, we can also provide a quote for ongoing maintenance. Our commercial roofing maintenance agreements include regular inspections to help extend the life of the roof. Of course, we’ll also perform commercial roof repair whenever you need us, whether you have a maintenance agreement with us or not. 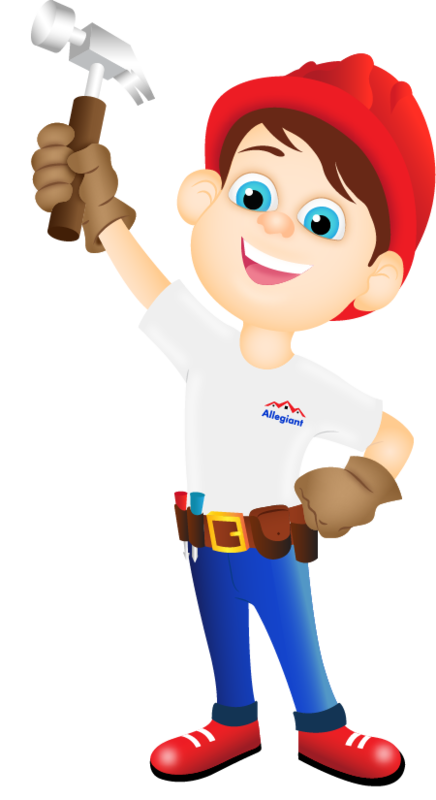 Our goal is to be the renovation company you choose for all your roofing, siding and gutter needs. We take pride in what we do. We believe in delighting the client with our expertise, professionalism, and high-quality work and work to achieve absolute customer satisfaction. Your search for the best roofing contractor in Dayton, OH ends here. You can trust Allegiant Roofing, your local roofing contractor Dayton, OH to assist you with your home improvements and insurance claims. When you’re ready for a free in-home estimate, call us at (937) 907-0009 or submit our online request form. Alex is just a phone call away!